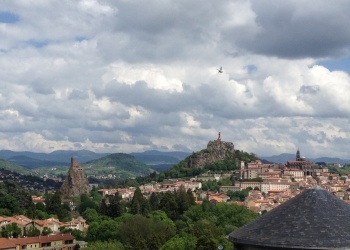 Our congregation originated in Le Puy, France, where small groups of women began to live in union with God and to serve their neighbors. 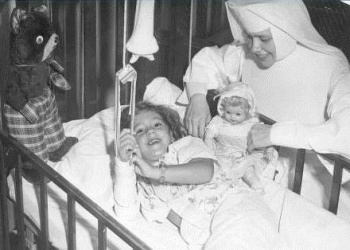 They nursed the sick, assisted the poor, sheltered the abandoned, and cared for orphans. Religious congregations of women had to be cloistered, leaving members unable to move among the people or earn a livelihood. Father Jean-Pierre Medaille, a Jesuit who directed our first sisters, articulated our call to serve the needs of the time while living a religious life. When the French Revolution began, religious communities were forbidden and some sisters were even imprisoned. Five of our early sisters were beheaded at the guillotine. Houses were disbanded and sisters were forced to return to their families where they prayed, worked, and waited to be reunited. 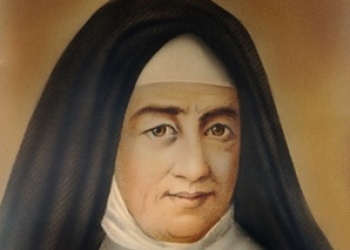 Jeanne Fontbonne re-founded our congregation in 1807, several years after the end of the French revolution. 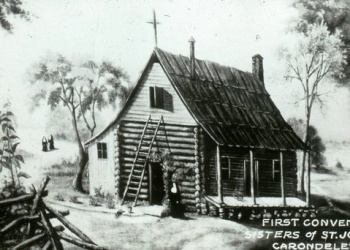 A new sense of mission flourished within the community and soon, word of the sisters' good works spread throughout Europe and eventually to America. 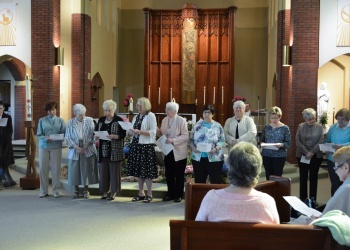 Coming to America: Mother St. John Fontbonne sent six sisters to Carondelet in the Diocese of St. Louis, MO. From there, we branched out to begin new communities in cities that included: Philadelphia, PA; St. Paul, MN; Toronto and Hamilton, Ontario; Wheeling, WV; Canandaigua and Flushing (Brentwood), NY, and Ebensburg, PA.
Sisters Austin Keane, Hortense Tello and Xavier Phelan arrived in Ebensburg, PA, where they established a convent. 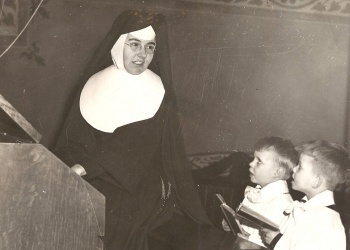 Five days after their arrival in Ebensburg, the three sisters opened Mount Gallitzin Seminary for Boys. Toward the end of the century, our sisters had started looking for property closer to Pittsburgh. We found farmland in Baden, about 30 miles northwest of Pittsburgh, along the Ohio River in Beaver County. There we built a four-story school and convent to serve as both Mt. Gallitzin Academy and our new motherhouse. 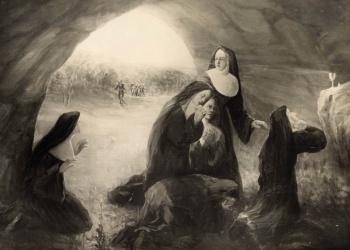 We became known as the Sisters of St. Joseph of Baden. We dedicated our Motherhouse and academy on January 1. Mt. Gallitzin Academy continued to flourish, educating boys and girls pre-K through eighth-grade, until June 2009 when it was closed due to changing demographics and financial constraints. 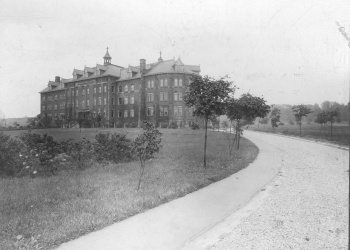 We opened St. Joseph Hospital and Nursing School on Carson Street on Pittsburgh’s South Side. 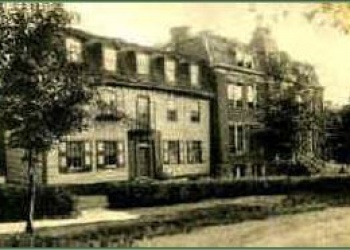 The hospital served industrial workers and their families for nearly three quarters of a century. 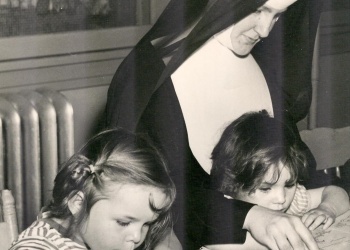 We remodeled our original Motherhouse in Ebensburg, PA, into an infant home where we nurtured newborns and toddlers until 1959. 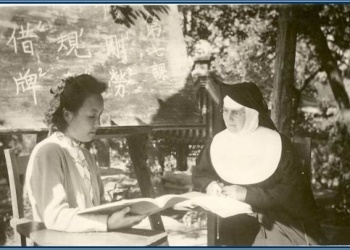 We heard God’s call to serve abroad and opened a mission in the Hunan Province in China, which continued until 1948. We later ministered in Brazil (1967-94), Liberia (1979-1986), Jamaica (1993-2002), and currently have a sister in Nicaragua. We established Mt. Gallitzin High School for Girls at our Motherhouse, which operated until 1967. 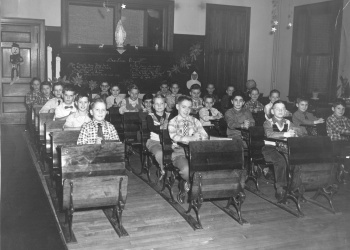 We were teaching in 26 new elementary schools and three high schools since our 1901 arrival in Beaver County. Diocesan priests were petitioning us to staff schools in towns along the rivers and in neighborhoods in Pittsburgh. 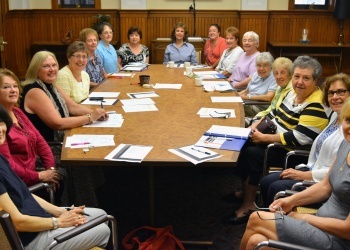 A group of women met with two of our sisters and expressed a desire to help our Congregation carry out its work. Sisters Aelred and Vincent Mary told the women that many sisters needed education and training. 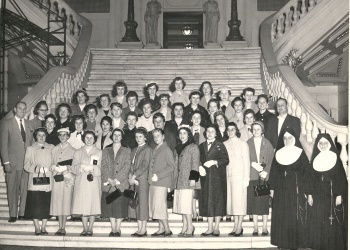 Thus began the Auxiliary’s tradition of educating Sisters for ministry that today has evolved into a commitment of advancing the life and ministries of the Sisters. With the conclusion of Vatican Council II, the Catholic Church urged religious to return to their spiritual roots and adjust to contemporary times to better serve the people. We recognized the heart of our vocation as a search for union with God for ourselves and all people. Because our first sisters lived among the people and dressed like contemporary widows, we saw our ministry as working among the people, and began wearing clothing of the times. 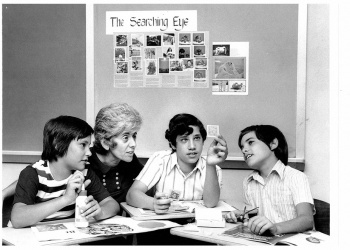 Our CSJ Association formally began in 1985 when the first Associates spoke of their desire and promise to journey with us in living our charism. Today we have about 100 CSJAs. We started Girls Hope, the first of its kind in the nation. Girls Hope provides a nurturing home, quality education and supportive services to girls in need due to poverty, neglect or adverse conditions. 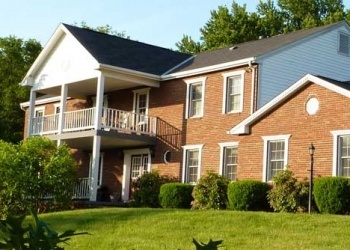 We opened our first house in Baden, and now have a second one in Coraopolis. We opened Villa St. Joseph, a residential nursing care and rehabilitation facility, to meet the health care needs of our Sisters and elderly residents in Beaver County. The Villa expanded in 2015 to open its Center for Outpatient Rehabilitation and Cup O’ Joe café. 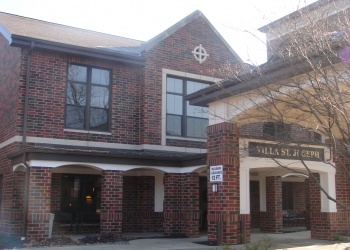 In 2018, we transferred ownership of the Villa to Concordia Lutheran Ministries, a faith-based nonprofit senior and health care provider that aligns with our mission.